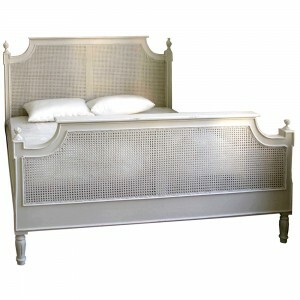 A la Mode, contemporary yet traditional, our four poster bed in antique white is a glorious bedroom addition. French influenced, the bed is a modern take on a traditional design with intricate details exuding sophistication and elegance. The grandeur from four tall pillars ensures the bed is the perfect place for a prince or princess to feel at home after a long day. The perfect sanctuary of sleep. Note: This item may require assembly upon delivery at an additional charge, please enquire with our sales team.